I noticed, that you can actually press a Hotkey in the "Add new mod element" window, like the letter T for a new Tool mod element, or G for a new GUI element, etc. And after pressing one Hotkey, your desired mod element get's selected. 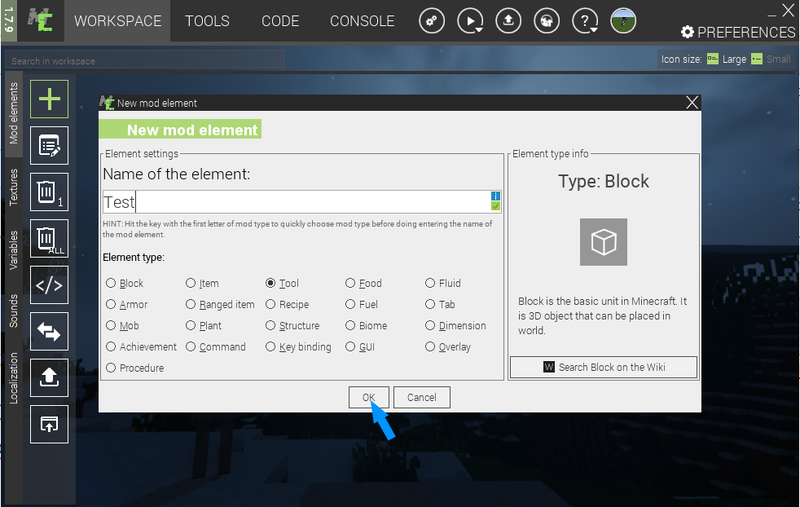 But for some odd reason, the mod element actually stays as a "new Block element", as you press next after you typed a name in. 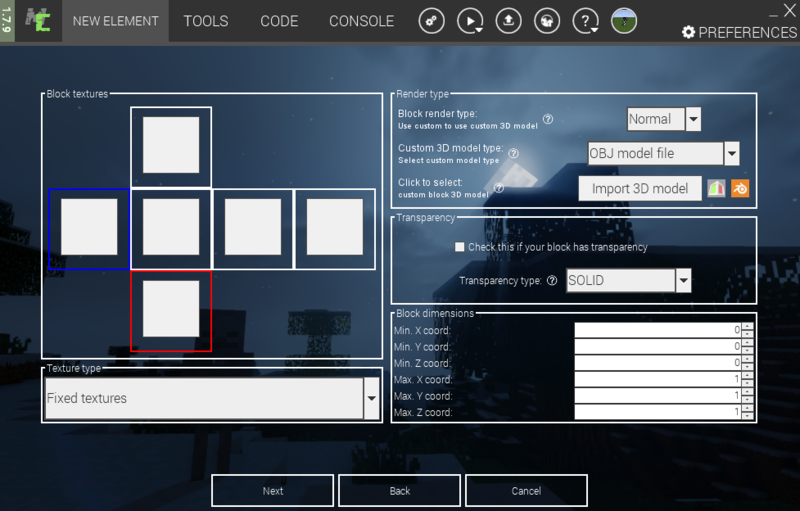 Fourth, as you can see, it brings up the block editor! Thank you for a very clear and descriptive ticket. I have managed to replicate this bug and I can confirm it. We will fix this in next update most likely. The current workaround is to hold the Alt key and press the letter of the mod element you wish to create. This bug will be fixed in 1.8.0. Thank you for the report.